Mass Effect Trilogy release trailer revealed! Each of the epic saga must have a beginning and an end, book or movie heroes waves and breathtaking, pulling into the adventure and many of us do not just want to suddenly become a hero beloved creation. 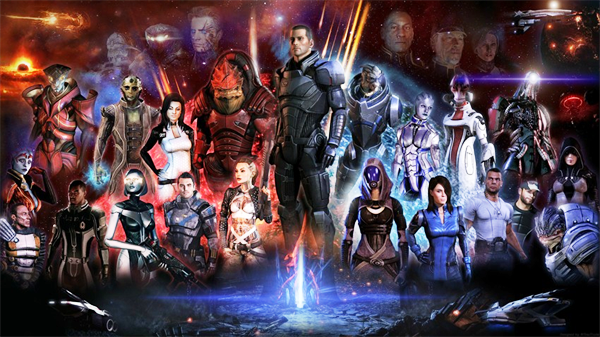 In Mass Effect Trilogy collection pack U will be able to create your own Commander Shepard and go through with him or her, all the way to cleanse the universe from the Reapers beginning with the artifacts search and ending with one of the eight existing finals, without interruption of the next part of the game release. Trilogy will be available on December 7 for all platforms users. The most interesting and important series’ points, you can see in the trailer dedicated to the release of this edition.